Give a man a cheeseburger, he will eat for the day, Give him a gun, he will murder you and loot your corpse. Give a man a cheeseburger, he will eat for the day. 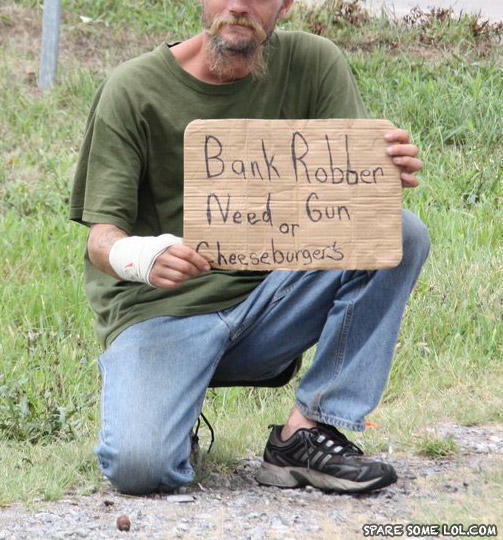 Give a man a gun, he will rob the bank and have all the cheeseburgers he wants. How do you scare a lawyer? Threaten to kill his family.